Shares of automobiles including auto ancillaries companies were in focus with Nifty Auto index gaining nearly two percentage points after auto majors reported good set of sales numbers for the month ended March 2018. At 02:57 pm; Nifty Auto and the S&P BSE Auto index were up 1.98% as compared to 0.78% rise in the benchmark indices Nifty 50 and the S&P BSE Sensex. Escorts, TVS Motor Company, Motherson Sumi Systems, Bosch, Tata Motors, Bharat Forge, Hero MotoCorp, Exide Industries, Bajaj Auto and Ashok Leyland were up more than 2% each. Amara Raja Batteries, Maruti Suzuki India, MRF and Mahindra & Mahindra (M&M) were up in the range of 1% to 2%. TVS Motor Company has rallied 7% to Rs 661 after the company registered a sales growth of 27% increasing from 256,341 units in March 2017 to 326,659 units in the month of March 2018. During the financial year 2017-18 (FY18), two-wheeler sales of the Company grew by 17.8% increasing from 2.86 million units registered in the financial year 2016-17 to 3.37 million units in the year under review, TVS Motor Company said in a press release. Hero MotoCorp rose 2.81% to Rs 3,645 after the company clocked its highest-ever monthly sales of 730,473 units in March 2018, registering a growth of 20%. The company sold 609,951 units in March 2017. The company clocked its highest-ever annual sales of 7.59 million units in FY18, which translates to a double-digit growth of about 14% over the corresponding fiscal year ended March 2017 with sales of 6.66 million units of two-wheelers, Hero MotoCorp said in a statement. 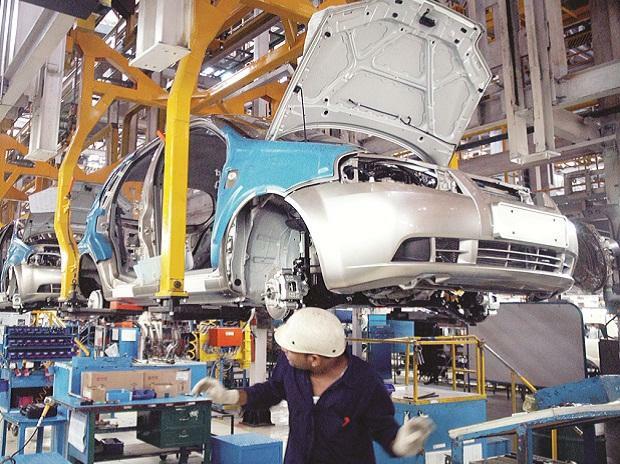 Tata Motors moved higher by nearly 4% to Rs 339 after the company registered a growth of 35% at 69,440 units in March 2018 as against 51,309 units over last year due to the continued strong sales performance of its commercial and passenger vehicles business in the domestic market. The cumulative domestic sales performance of the commercial and passenger vehicles business for FY18 was 586,639 units compared to 478,362 units, a growth of 23%, over FY17.